Whereas at the time of publication of Opera 1 and 2 many Italian sonatas were in four movements, the course of Buxtehude's sonatas is entirely unpredictable and incorporates the Stylo phantastico . In Buxtehude's handwriting, it displays over long stretches the character of a notated improvisation. 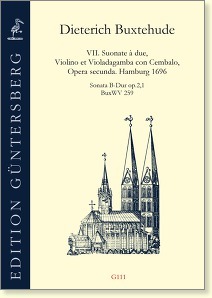 It is the juxtaposition of the Stylo phantastico with strict (contrapuntal, learned) compositional technique that lends Buxtehude's sonatas their captivating unpredictability. 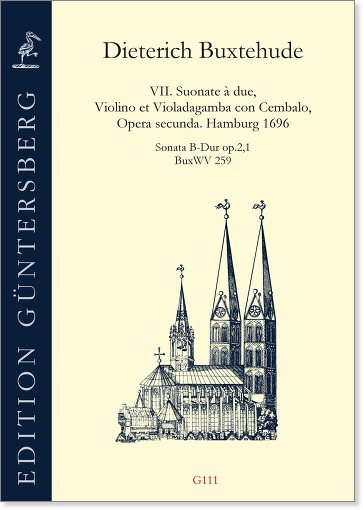 Our edition consists of a score of the three original parts, three part booklets, and a separate score with a continuo realisation.